Rotoscoping for Animation and Visual Effects. In this first part I cover what is rotoscoping and when do you use it. Includes examples of creating animation and roto mattes. I've changed this to link to the YouTube video which should make it easier for viewing. Wacom tablets for roto and paint work. The wireless uses Bluetooth to connect to the machine. Very nice. Wacom also makes their Bamboo series tablets at a lower cost. I haven't used these but suspect they're fine for basic roto and general work for the budget limited. As always students should check on educational discounts. 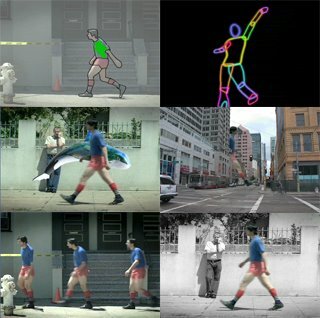 For those interested I show more rotoscoping in use in a Levis commercial. It's in the archives. Well I switched to a new provider over the holidays but it appears the server is down. Sorry, looks like I may be moving again. Anyone have any experience with http://www.dreamhost.com/ or other ISP that can provide service, storage and bandwidth? This is the second part of the breakdown video where the specific shots in the commercial are broken down into the rotoscoping and visual effects process used. 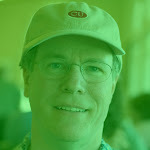 I've posted more information on Rotoscoping in a new post.